Nestled between high red sandstone bluffs along the Pecos River, near the picturesque Spanish-colonial village of Villanueva, lies Villanueva State Park. Villanueva State Park is a charming riverside park situated in a canyon of red and yellow sandstone cliffs. Towering cottonwoods and a variety of other native trees and shrubs add additional color to the landscape. The park’s adobe-style picnic shelters were designed and grouped to resemble a Spanish hamlet, similar to those that existed in the area in earlier times. A footbridge gives hikers access to trails leading along the river to other sites, including a prehistoric Indian ruin and a cliff-top vantage point. #11 in C loop and #23 in B.
Visted Villanueva State Park Campground lately? We'd love to hear about your adventure. Did you find us useful? Did we forget something? 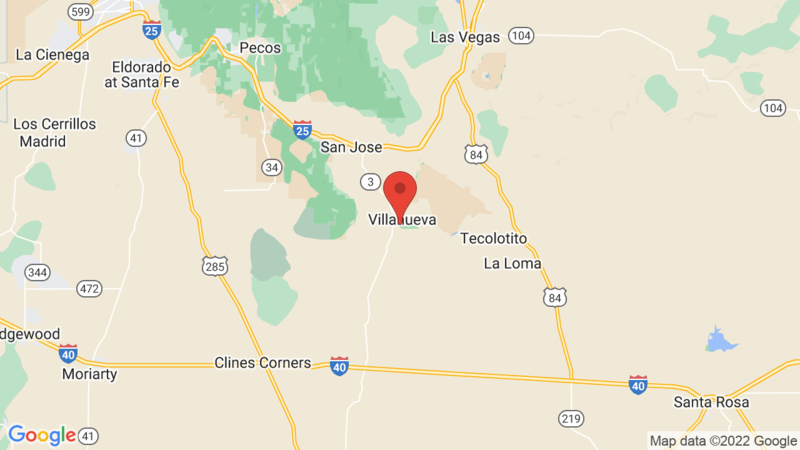 Anything our community should know before heading out to Villanueva State Park? Haven’t been there yet. One question is there a campground host there?